It's the Easter weekend, which means days off and chocolate binges to the point of nausea, yay! For us it also means reflecting on a slightly manic March and looking back at another exciting week in Tech. The gadget gods have been ramping up their cloud-based production factories lately and products have been spewing through all four TechRadar offices with more veracity than an angry badger in a feeding frenzy. 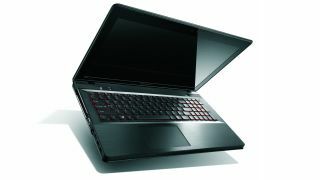 If you're on the market for a gaming laptop, you should buy the Y500 as soon as you possibly can. It's an ultra-rare combination of fast, versatile, and affordable. And while it is a bit bulky, it's not so big that you can't carry it with you. From the slightly nerdier perspective of a PC system-builder, the Y500's component selection reflects an intelligent, well thought-out design process. Lenovo's decision to pair a powerful, modern Ivy Bridge mobile CPU with a pair of older, high-mid-range GeForce parts is the kind of decision-making that savvy, performance-oriented DIYers make all the time when constrained by dollars. You can get faster laptops today, but at nowhere near the price tag of this one. That makes this an easy call. If you're on the market for a gaming laptop, you should buy the Y500 (in the same trim as we reviewed it) as soon as you possibly can. With the X20, Fuji continues its dominance in the corner of the market reserved for high-end compact cameras with superb image quality that exude retro cool. The fact is, no other manufacturer manages to mix those two qualities together quite so well as Fuji, and for that, the company should be applauded. As a premium compact, the Fuji X20 is a delight to use and will be surely appreciated by those looking for a great backup model for their DSLR or CSC. If you already own a Fuji X10, there's not quite enough here to warrant an upgrade just yet, though there are obvious advantages to this over the previous version of the camera. And while it does perform extremely well, we're not sure it's worth the extra premium that it is currently demanding, so it may be worth waiting until the price drops a little before investing. That said, if you're a particular fan of Fuji, and its excellent design credentials, this is a sure fire winner. There are two ways to conceptualize the Envy x2. One way is to think of it as a notebook where the screen comes off and can be used as a tablet. It's better, though, to think of it as a tablet with an optional keyboard that also functions as a docking station. This docking station offers sundry connectors and a second battery. There's little question this is the direction laptops are heading. After all, tablets are such powerful computers in their own right, there's no reason why they shouldn't also run full-featured desktop operating systems. It's just a waste of computer power to limit them. This is the type of device that is sure to improve over time, and it's showing the way to the undeniable future of ultralight laptops. The TX-L47ET60B LED TV isn't as good as Panasonic's plasma offerings. It is, however, is just as good as its real rivals - and probably better. The picture quality may not be up to the pace-setters that cost a good deal more, but this 47-inch TV has a decent enough balance between contrast, colour and black level to survive as a TV for casual use in a living room. It's impressive-looking, too, and just 35mm slim. Add to that a tinkering-free experience thanks to True Cinema (you can forget about calibrating and spend your time more wisely - choosing a movie! ), a top-quality SD-HD upscaling experience, hassle-free 3D and some novel smart TV applications and - with a few quid knocked-off the asking price, perhaps - the Panasonic TX-L47ET60B appears a talented all-rounder. All things considered, Nikon has produced an attractive offering for enthusiast photographers that centres around the thing that these users value the most - detail. The Nikon D7100 produces sharp, detail-rich images straight from the camera and noise is well controlled up to ISO 6400. However, as usual we wouldn't recommend straying beyond this value and into the expansion range.